The acquisition has potential to cause issues for other milk brands. The Australia Competition and Consumer Commission (ACCC) has flagged its concerns regarding the Murray Goulburn (MG) acquisition deal. The ACCC has said its primary concern is the MG Koroit dairy plant in western Victoria, and the possible competition the acquisition could result in for farmers’ milk in surrounding areas. 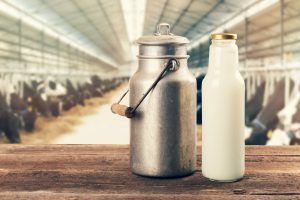 Following the announcement of the intended purchase of MG by Canadian milk brand Saputo, CEO Lino Saputo jnr has already raised concerns regarding the economic viability of selling milk for $1 per litre. The ACCC has said the acquisition would result in Mr Saputo’s existing Allansford plant and the Koroit plant holding over two thirds of the raw milk processing capacity in the south-west Victoria/south-east South Australia region. ACCC Chairman Rod Sims said: “While Saputo is proposing to acquire most of the Murray Goulburn business, our only concern is in relation to Murray Goulburn’s Koroit plant”. “Our view is that Saputo owning the Koroit plant would substantially lessen competition for the acquisition of dairy farmers’ raw milk in the region,” Mr Sims said. The other major processing plant in the area is Fonterra, which the ACCC noted would be likely to drop its prices if Saputo acquired the Koroit plant. Mr Sims said: “When Murray Goulburn dropped its prices in 2015–16, Fonterra was quick to follow. Our analysis has shown that many farmers switched to Saputo in response, the only other major processor nearby”. “We are concerned this transaction would ultimately lead to lower prices being paid to dairy farmers in the region,” he said. “We understand Murray Goulburn faces an uncertain future, and that many farmers just want certainty after a tumultuous few years. “However, if the acquisition of Koroit by Saputo proceeds, our view is that dairy farmers in the region will be worse off and face lower raw milk prices in the longer run. It’s important to preserve competition in these markets so dairy farmers get a price for their product determined by healthy competition. The ACCC has invited submissions to be made in response to its statement by 13 March. The final decision is set to be released on 29 March.